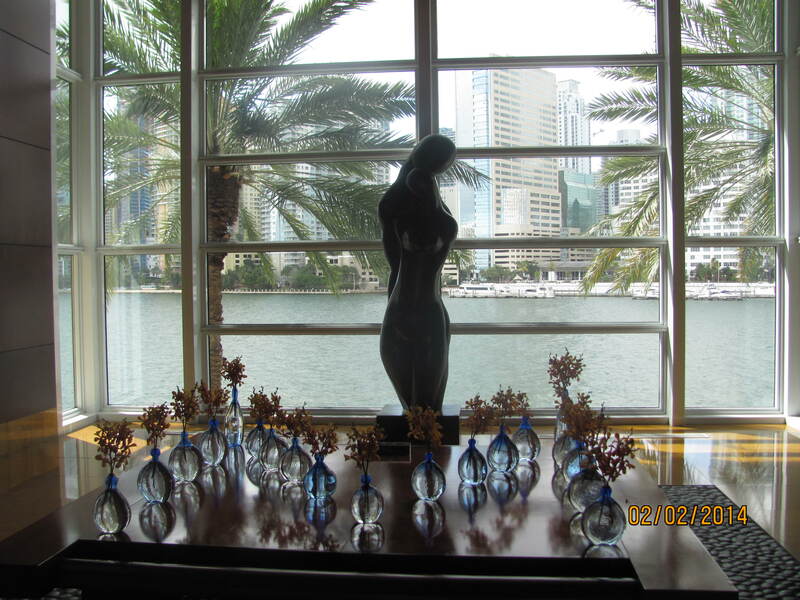 I recently returned form the Mandarin Oriental Miami on Brickell Key. I was greeted with floor to ceiling windows and a great view of the bay. They are currently adding a bar in this lobby which should be completed by the end of the month. Pictured here is a lovely Deluxe Room with a four piece bath and pass through window above the soaker tub. 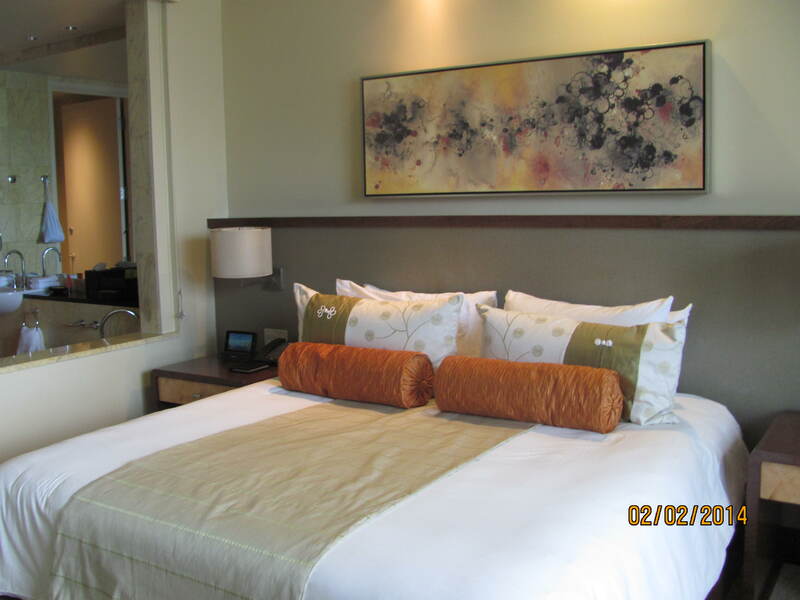 Pictured now is a view of a junior suite with over 500 sq. feet of space. 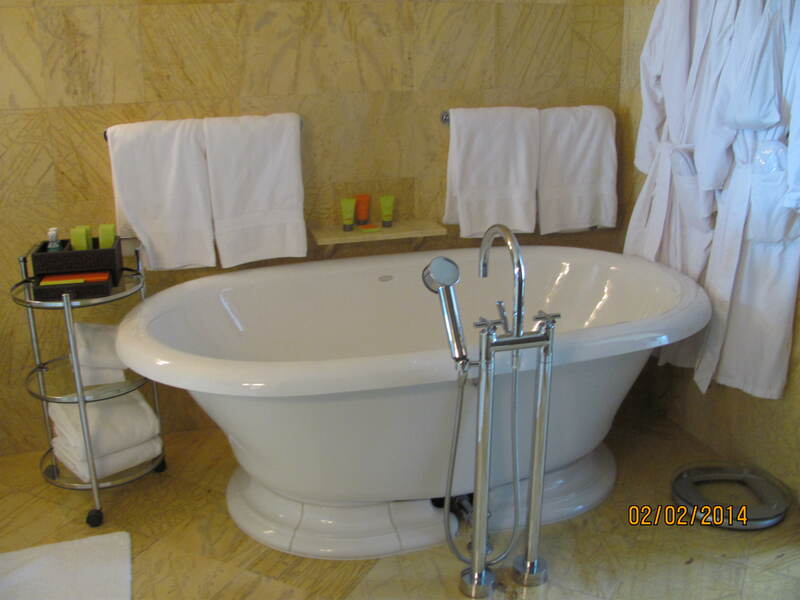 Below is one of their beautiful Brickell Suites with a gorgeous freestanding tub. These are all located in the middle of the building so they have amazing views. 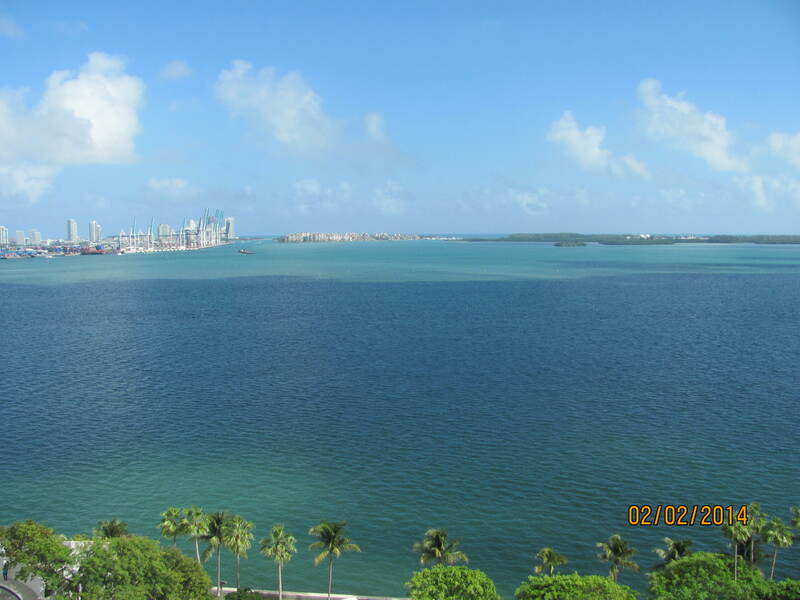 My gorgeous view from the Mandarin Oriental Miami. 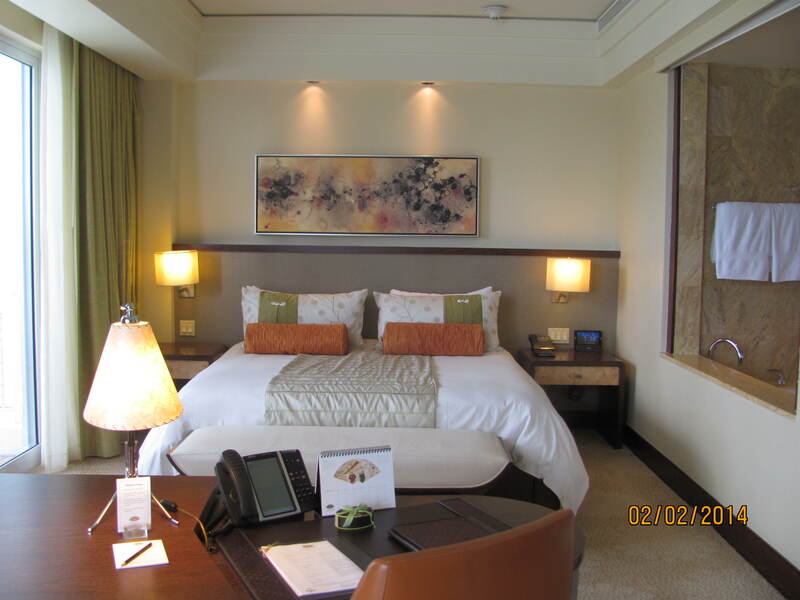 Mandarin Oriental Miami offers rooms that are beautiful and have amazing views of the bay or city. They offer 2 restaurants and a bar. They have a fabulous spa. They also have an expanded pool deck and a beach area with cabanas. The location is perfect for taking the water trolley around the area to shops and restaurants too. The hotel is only about ten minutes away from the Miami cruise terminal. 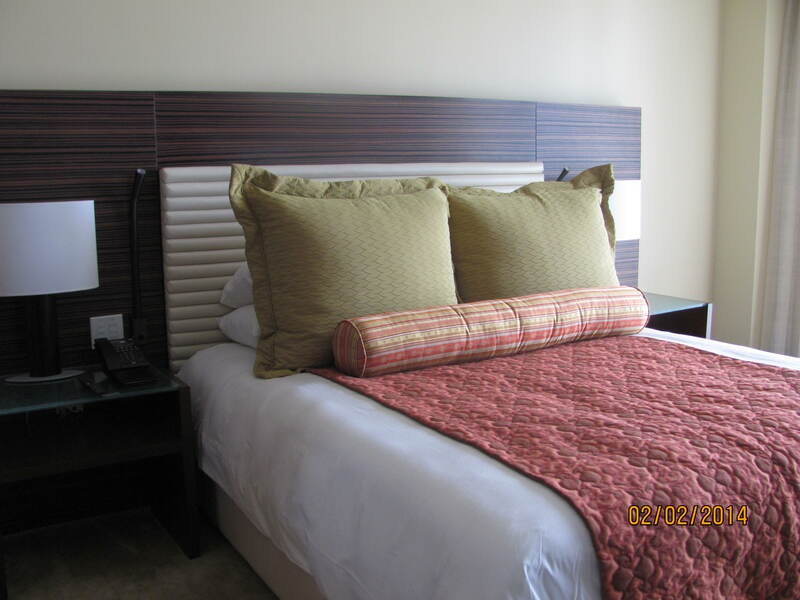 It is an ideal location for pre or post cruise vacations. Miami is also an ideal warm weather getaway for a girls’ trip. Right now they are offering a day of pampering that can be booked with or without a stay at the hotel. The package is for 4-5 girls and includes access to Oasis Beach Club, one 50-minute Hot Stone Massage each, one Mandarin Oriental Manicure each, half day in a luxurious Beach Cabana and lychee martinis for the group. Price is $250 per person. If you would like to book a stay , my company is a preferred partner with Mandarin Oriental Miami and has access to extra amenities that include breakfast for two, upgrade at check-in if available, and $100 credit for spa of food.